by: The Gentle Art of Dentistry	Apr 12, 2019Cosmetic dentistry, UncategorizedComments Off on Want To Perk Up Your Smile? If you would like to improve your smile, all you need to do is pick up the phone and make an appointment with The Gentle Art of Dentistry. Our cosmetic dentistry makes positive changes to smiles every single day. 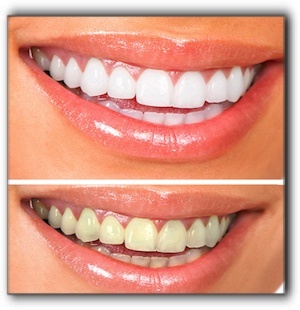 Teeth whitening is one of the most populsar cosmetic dentistry procedures wse offer. A whiter smile can change your life dramatically. Many of our patients feel more self-confident in personal and professional settings with their new, whiter smiles. White teeth brighten your smile and give you a reason to show them off. Who doesn’t need another reason to smile? We have two options: in-office teeth whitening, which can whiten your smile in a single office visit, and take-home whitening kits, which whiten teeth over several weeks. Both options surpass any over-the-counter products you’ll find at the store. At The Gentle Art of Dentistry in Houston, we offer a full range of cosmetic dentistry procedures. We also offer general dentistry to keep your teeth and gums healthy. Schedule your next checkup with us today. What makes up a perfect smile? White teeth? Straight teeth? Teeth with pleasing proportions relative to one another? A stunning smile is more than the sum of its parts. At The Gentle Art of Dentistry in Houston, we believe that it also contains another element—your unique personality. What is a cosmetic dentistry smile makeover? It is a combination of procedures that remedy any problems with your existing smile. At The Gentle Art of Dentistry, cosmetic dentistry is all about making positive changes to your smile. At the same time, we never overlook the state of your dental health. If you have teeth that are not structurally sound, you may need a dental crown. The crowns at The Gentle Art of Dentistry blend perfectly with your existing teeth. No “chiclet” effect where the crown sticks out like a sore thumb. What if you have a tooth that is completely missing? Ask us about dental implants. This permanent tooth restoration is actually anchored into the jawbone, offering strength, natural function, and protection from bone recession. With a dental implant, there is no need to damage the two adjacent teeth as is necessary for a dental bridge. There are a variety of dental braces available for our patients who need orthodontic treatment. Ask us about invisible braces, lingual braces and fast braces. At The Gentle Art of Dentistry in Houston, cosmetic dentistry can transform your smile. We also offer a full range of general dentistry services. Make an appointment today.